Cushion grip set with slotted and Pozi screwdrivers in various sizes. Designed with magnetic tip, chrome plated bar, soft grip handle and smooth domed head. Tip identification on handle. 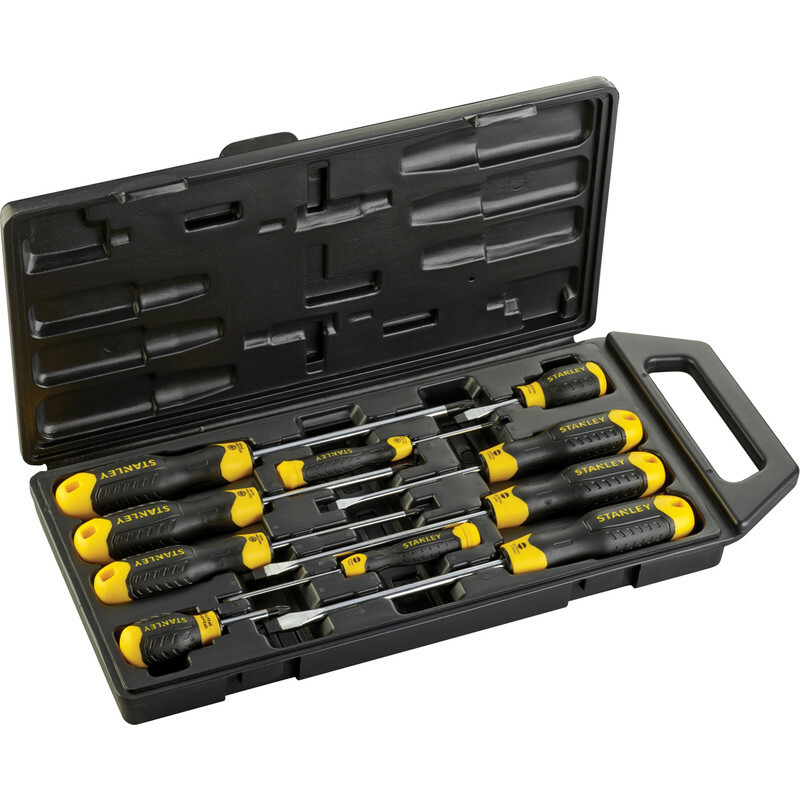 Slotted: 3mm x 75mm, 5mm x 100mm, 6.5mm x 45mm, 6.5mm x 150mm, 8mm x 150mm. 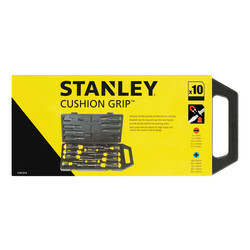 Stanley Cushion Grip Screwdriver Set (10 Piece) is rated 5.0 out of 5 by 6. 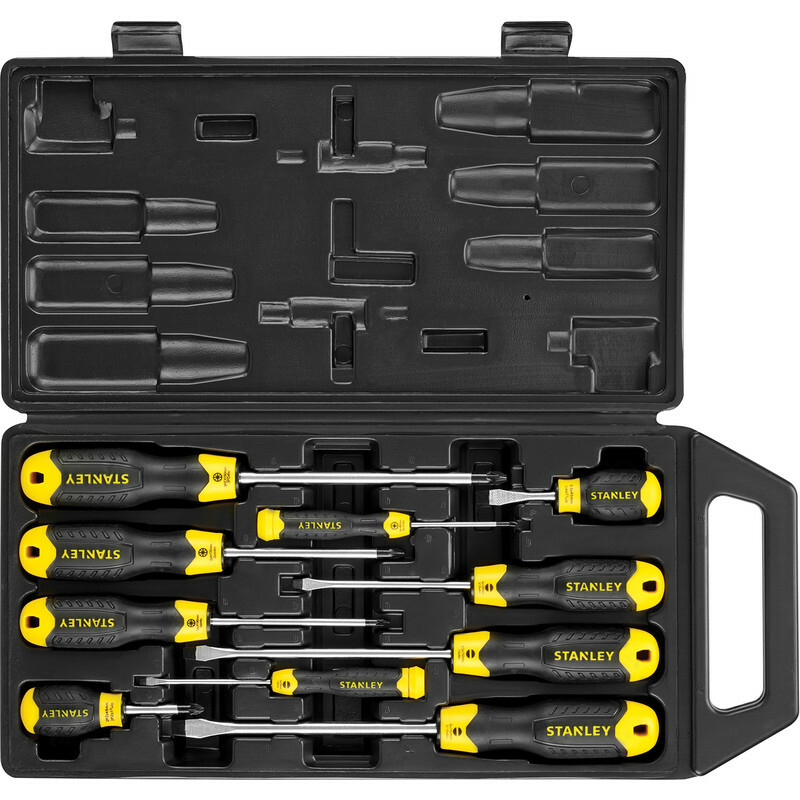 Rated 5 out of 5 by Fader from Perfect Bought a week ago used already, great screwdrivers great price. Quick delivery and kept me informed from the minute I ordered. Rated 5 out of 5 by Sandb from Excellent Excellent set, with a range of screwdriver sizes. Bought as a gift and recipient loved it.